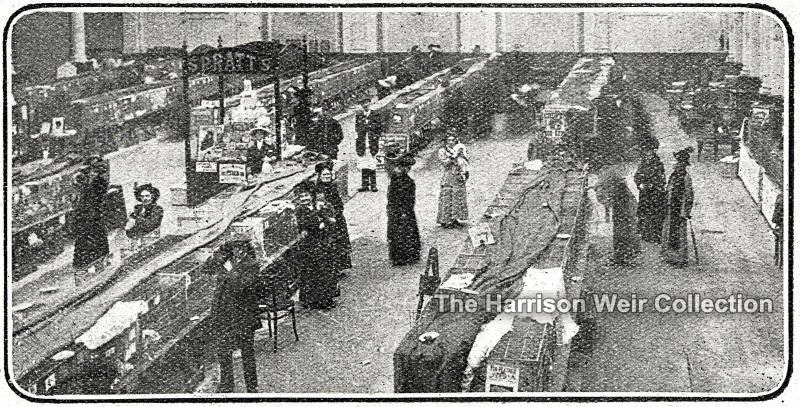 Here we have a view of the Show Hall at Westminster, January 1913. This image is from the January 24th issue of "Fur & Feather". In fact, the show layout is not very different to that which we see in many halls today, and typically, we see cat fanciers in the aisles cuddling their cats or talking to friends! In the centre at the back is the sponsors stand, in this case "Spratts" and it looks like it may be a display for both sponsor product and possibly prizes. It is a wonderful glimpse into the cat fancy's past.